These questions are from Therapy Bits: Who asked to hear my experiences with bipolar symptoms, how I manage them, and how they effect my life. I don’t remember most of my experiences due to the side effects of ECT. The biggest, most memorable experience was in 2009. My doctor tried taking me off my medication slowly, because he thought that it was possible that my mental health issues could have been caused by my drinking and using (I’m now sober 13 years). We found out the hard way that I really do have bipolar disorder. I went into a major manic episode. It was so bad that I couldn’t work. I worked for home for a while, but even that got to be too much for me to handle. I was unable to handle my life due to my manic and then my depressive episodes. I moved in with my mom because I couldn’t manage my own life and I needed someone close to me to do that for me. I’m lucky that I had someone in my life that was willing to help me out. My bipolar disorder turned my entire life upside-down. I’ve been on disability since 2009, and I can’t seem to get things back together. I continue to go through episodes and I have to deal with the side effects from the treatments I use. This biggest side effect is memory loss and confusion, which are from ECT. I have both short-term and long-term memory loss. I tried stopping the ECT treatments after I had been doing them for quite a while, however, once I stopped the treatments, my depressive episode came right back. I’m not sure if I’ll ever be able to stop ECT again; I’m too worried that I’ll end up going back into another manic or depressive episode. I’ve been dealing with my bipolar disorder since I was 13 or 14 years old, and I know that it is something that I’ll be dealing with for the rest of my life. Going to a psychiatrist, a therapist, and taking medications is second nature for me. I actually take 13 different psych meds, which is a lot to manage. At this point, I go to ECT once every 2 weeks. I used to go to a bipolar support group once a week, but I stopped going a while ago. I still talk to and see some of my friends from that group, which really helps. 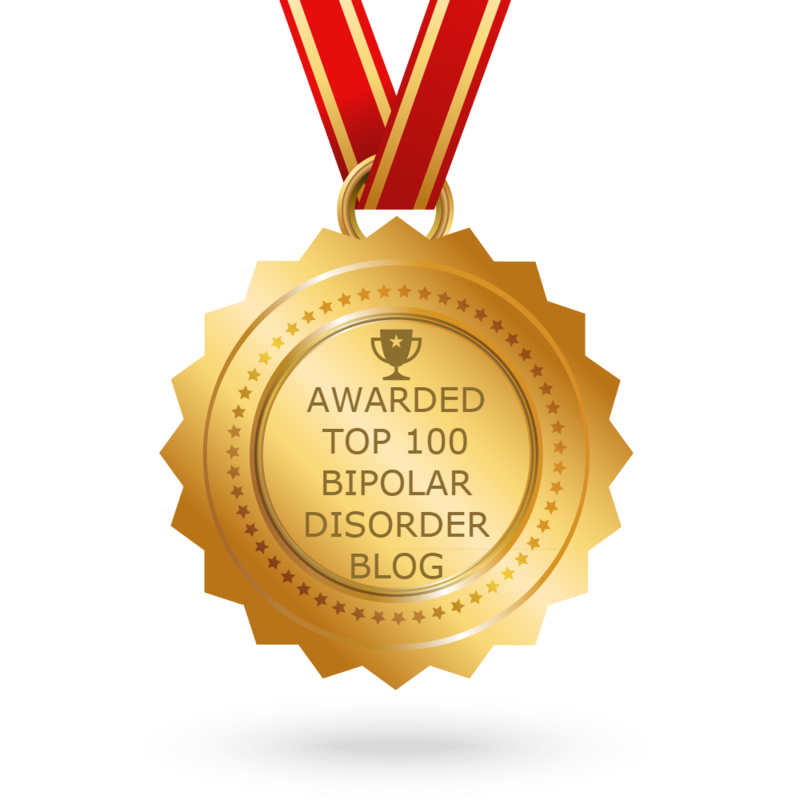 This blog has also helped me manage my bipolar symptoms. I have been taking anti-depressants, anti-psychotics, anti-anxiety, and mood stabilizers since I was 14 years old. I’ve dealt with plenty of side effects; nausea, weight gain, fatigue, insomnia, anxiety, muscle tremors, drooling, increased thirst, slurred speech, and much more. These are all short-term side effects. They are side effects that last as long as you are on the medication. Most of these side-effects stop when you stop taking the pills, but there are also long-term side effects. I don’t know much about them, but I do know that it happens. One example is Tardive Dyskinesia, a nervous system condition that causes involuntary movements, is caused by long-term use of psychiatric drugs. I’ve started thinking about the long-term side effects recently because I realized I have been on psych meds for 17 years and it worries me. It worries me to be on any medication for 17 years because every med has both short and long-term side-effects. I have been thinking about all of this a lot recently. I have been taking medication for a long time at this point in my life; it’s been more than 17 years. Every now and then, depending on what medication I’m taking, I will have to deal with some side effects. Some of those side effects cause side effects of their own. It’s a very difficult and complicated issue that appears to have no end. Right now, a couple of my medications are causing myoclonic twitches, and the twitches have been getting worse over the last few months. I’m still wondering exactly which medications are causing the twitching and I’m curious as to whether or no the twitching will continue to get worse or if it will continue to go away. I wonder the same thing with my nausea and heart burn; will it improve or get worse. What other side effects will I experience since I’m on long-term mental health medications? Are there some precautions I should be taking? I have what my psychiatrist calls, myoclonic jerks. Basically, it’s just a lot of twitching. My hands twitch the most, making it difficult to hold things. My arms/shoulders, legs, and head also twitch. It can make certain tasks difficult to do. When feeding the dog, I often drop the scoop of food before I get to the dog bowl, making a huge mess that luckily my dog is happy to clean up. I also drop things such as my phone and water bottles. It gets really annoying. I don’t drop as much if I hold things with both hands; it helps, but it’s not a complete solution. I’ve been dealing with these twitches for a while now. It started out as just one hand, then another, then my arm, then the other arm, and now my legs. I’ve talked to my psychiatrist about this when it started. I should probably talk to him about it again and let him know that the twitching is getting worse. I see him in 3 weeks, but I could always email him to let him know. I also want to know if it’s possible for the myoclonic jerks to go away or will they continue to get worse? I didn’t realize how important memories are until I lost them. I used to be able to remember things very easily, and now I struggle to remember a lot of things. My memory has improved over the last few months, since I stopped doing ECTs, but it’s far from what it used to be. I have a hard time with both short-term and long-term memory. One day, many months ago, I woke up and didn’t realize that my grandmother had passed away years ago. I forget family memories often, and I feel that those are the most important. I ask people questions all the time, forgetting that I had just recently asked that same question. I have conversations with people over and over, because I forget that I just had that same conversation. The forgetting is hard on me. I feel as if I annoy people because I repeat myself often. I try to improve my memory, but that’s not an easy thing to do. I feel incapable, less than, and pathetic. My memory has improved a little since I stopped ECT, but will it continue to improve? Am I ever going to get back to what my memory used to be like?